Dr. Debbie Silver is a brilliantly funny, beautifully insightful, and boldly authentic speaker, author, and educator. She has dedicated her life to understanding learning and growth behavior and has become a world-renowned and empowering speaker. Through her research, her outreach, and her humor, Debbie seeks to help teachers find the joy in the daily job of teaching, so that children can embrace the satisfaction and pride of knowledge, growth, and self-worth. With 30 years spent as a teacher, staff development instructor, and university professor, Dr. Silver doesn’t just know her way around the classroom – she is deeply familiar with the challenges educators face at every level, from kindergarten through college. One of the nation’s most popular keynote speakers and professional development presenters, this former Louisiana State Teacher of the Year has given presentations around the world (including 49 states, Canada, Mexico, Europe, the Middle East, Australia, Africa, and Asia), helping audiences to interact with students on a more meaningful level. 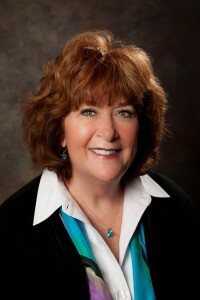 Debbie’s best-selling book, Drumming to the Beat of Different Marchers: Finding the Rhythm for Differentiated Learning, has been recognized for its insights into research-based models, teaching strategies, management tips, and inspirational “from-the-heart” lessons for addressing individual differences. It is her humor, her practicality, and her ability to connect with students, teachers, parents, and administrators, however, that has made her a popular choice for keynotes, workshops, and breakout sessions. Her best-selling book, Fall Down 7 Times, Get Up 8: Teaching Kids to Succeed, is heralded by parents, teachers, and administrators as a “fresh approach to getting kids to work smarter and better.” In it she explains motivational theory and provides down-to-earth examples of concrete, applicable guidelines for helping students overcome setbacks and failure to foster lifelong success. Debbie co-wrote the 2014 bestseller, Deliberate Optimism: Reclaiming the Joy in Education, which offers research-based strategies, practical examples, and thought-provoking scenarios to help recharge educators and schools. With a healthy dose of humor to make it fun, Deliberate Optimism demonstrates the difference a change in attitude can make. In her most recent best-selling book, Teaching Kids to Thrive: Essential Skills for Success, Dr. Silver and co-author Dedra Stafford illustrate how SEL (social and emotional learning) instruction can be woven into all subject areas at levels preK-12. This book describes what SEL-friendly classrooms look like and provides a wealth of tools and strategies for those who want to teach life skills beyond the standards. While inspiring educators to enjoy the job they once loved, she reminds them of how important they are in the lives of children, their families, and the world. Through her writing and her speaking, she highlights relevant and tested learning theory and tools for communication. She makes essential points while sharing poignant stories and lots of laughs. Debbie firmly believes that teachers need to be having fun and staying in touch with their passion to make their biggest impact in the classroom. When she’s not working as an educational speaker and writer, Debbie enjoys spending time in Texas with her husband, Dr. Lawrence Silver, and spending time with their 5 sons and their families who live in 5 different states.